Home › Faculty Directory › Muñoz, Ricardo F., Ph.D.
Prevention and treatment of depression; smoking cessation; evidence-based Internet interventions for health and wellness; digital self-help; reducing health disparities worldwide. Ricardo F. Muñoz, Ph.D. is a depression prevention and treatment researcher and Distinguished Professor of Clinical Psychology at Palo Alto University. From 1977 to 2012, he was professor of psychology at the School of Medicine of the University of California, San Francisco (UCSF), based at San Francisco General Hospital (SFGH), where he served as Chief Psychologist for 26 years. Dr. Muñoz has been the recipient of many awards, including the Martin Luther King, Jr. Award from UCSF and the George Sarlo Award for Excellence in Teaching from the UCSF Department of Psychiatry. He is now Professor Emeritus at UCSF. He has been a pioneer in the development of Internet interventions for health since the 1990’s and was a founding member of the board of directors for the International Society for Research on Internet Interventions from 2010 to 2013. He has most recently founded i4Health, an institute dedicated to developing, evaluating, and disseminating evidence-based psychological interventions in multiple languages for people worldwide using Internet sites and mobile applications. Muñoz immigrated from Perú to the Mission District in San Francisco in 1961, at age 10. He did his undergraduate work at Stanford and his doctorate at the University of Oregon in Eugene. He was the first psychologist to join the faculty of the UCSF Department of Psychiatry at San Francisco General Hospital in 1977. In 1985, he founded the SFGH Depression Clinic, the first cognitive-behavioral service at UCSF. He became Chief Psychologist at SFGH in 1986, and Director of the Clinical Psychology Training Program from 1992 to 2012. His research focuses on the development of prevention and treatment interventions for depression and applications of these methods to help people stop smoking. 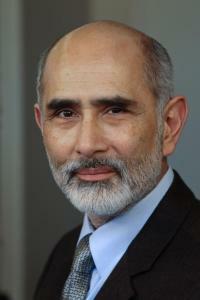 He founded the UCSF/SFGH Latino Mental Health Research Program in 1992. He began work on international randomized trials via the Internet in 1998, and founded the UCSF/SFGH Internet World Health Research Center in 2004. He was the PI on the first randomized controlled trial to prevent major depression. He has served on both Institute of Medicine committees which produced major reports on prevention of mental disorders in 1994 and 2009. His latest contributions to the area of prevention of depression include articles in the Annual Review of Clinical Psychology (2010), the American Psychologist (2012), and a chapter in the Handbook of Depression (2014). Lewinsohn, P. M., Muñoz, R. F., Youngren, M. A., & Zeiss, A. M. (1992). Control your depression (2nd ed.). Englewood Cliffs, NJ: Prentice Hall. Miller, W. R., & Muñoz, R. F. (2013). Controlling your drinking (2nd ed.). New York, NY: Guilford Press. Muñoz, R. F., & Ying, Y. W. (2002). The prevention of depression: Research and practice (re-issued). Baltimore, MD: Johns Hopkins University Press. Barrera, A. Z., Pérez-Stable, E. J., Delucchi, K. L., & Muñoz, R. F. (2009). Global reach of an Internet smoking cessation intervention among Spanish-and English-speaking smokers from 157 countries. International Journal of Environmental Research and Public Health, 6(3), 927-940. Cuijpers, P., Muñoz, R. F., Clarke, G. N., & Lewinsohn, P. M. (2009). Psychoeducational treatment and prevention of depression: the “Coping with Depression” course thirty years later. Clinical Psychology Review,29(5), 449-458. Dimidjian, S., Barrera Jr, M., Martell, C., Muñoz, R. F., & Lewinsohn, P. M. (2010). The origins and current status of behavioral activation treatments for depression. Annual Review of Clinical Psychology, 7, 1-38. Le, H. N., Zmuda, J., Perry, D. F., & Muñoz, R. F. (2010). Transforming an evidence-based intervention to prevent perinatal depression for low-income Latina immigrants. The American Journal of Orthopsychiatry, 80(1), 34-45. Muñoz, R. F.(2009). Using evidence-based internet interventions to reduce health disparities worldwide. Journal of Medical Internet Research, 12(5), e60. Muñoz, R. F., Aguilera, A., Schueller, S. M., Leykin, Y., & Pérez-Stable, E. J. (2012). From online randomized controlled trials to participant preference studies: Morphing the San Francisco stop smoking site into a worldwide smoking cessation resource. Journal of Medical Internet Research, 14(3), e64. Muñoz, R. F.,Barrera, A. Z., Delucchi, K., Penilla, C., Torres, L. D., & Pérez-Stable, E. J. (2009). International Spanish/English Internet smoking cessation trial yields 20% abstinence rates at 1 year. Nicotine & Tobacco Research, 11(9), 1025-1034. Muñoz, R. F., Beardslee, W. R., & Leykin, Y. (2012). Major depression can be prevented. American Psychologist, 67, 285-295. Muñoz, R. F., Cuijpers, P., Smit, F., Barrera, A. Z., & Leykin, Y. (2010). Prevention of major depression. Annual Review of Clinical Psychology, 6, 181-212. Muñoz, R. F., Le, H. N., Ippen, C. G., Diaz, M. A., Urizar, G. G., Soto, J.,Mendelson, T., Delucchi, K., & Lieberman, A.F. (2007). Prevention of postpartum depression in low-Income women: Development of the Mamás y Bebés/Mothers and Babies course. Cognitive and Behavioral Practice, 14(1), 70-83. Muñoz, R. F., Lenert, L. L., Delucchi, K., Stoddard, J., Perez, J. E., Penilla, C., & Pérez-Stable, E. J. (2006). Toward evidence-based Internet interventions: A Spanish/English Web site for international smoking cessation trials. Nicotine & Tobacco Research, 8(1), 77-87. Muñoz, R. F., & Mendelson, T. (2005). Toward evidence-based interventions for diverse populations: The San Francisco General Hospital prevention and treatment manuals. Journal of Consulting and Clinical Psychology,73(5), 790-799.